You have the ability to Copy, Move, Publish, or Delete more than one asset (page, image, PDF, etc.) at a time. These items have to all live in the same folder. 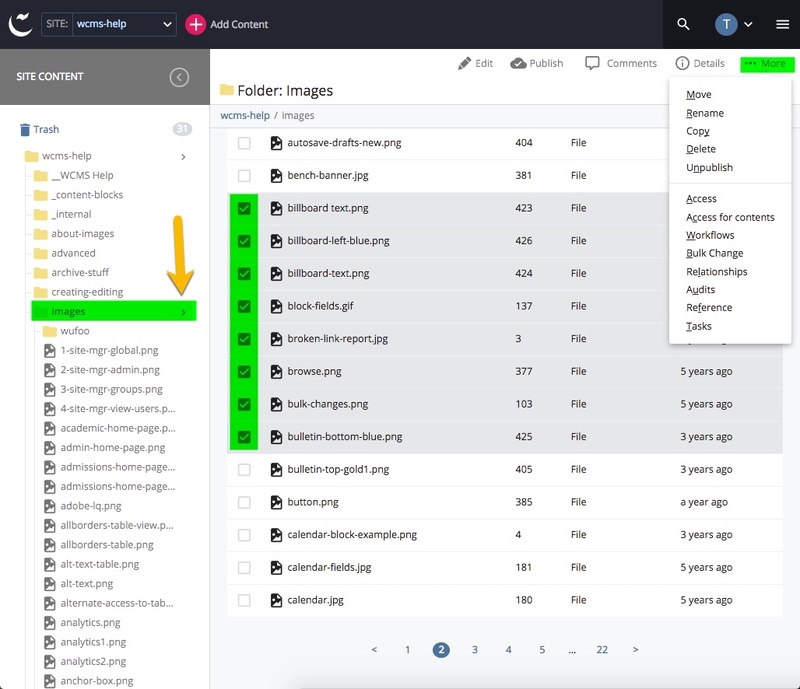 NOTE: Moving or deleting assets in the WCMS automatically un-publishes them from your website. Simply publish the folders to relink everything correctly. Please submit an ITRequest ticket if you need assistance.